Norfolk has a very rich heritage and the historic village of Sedgeford dates back many centuries. During the Summer months the history can be relived at the Sedgeford Historical Archeological project (SHARP) http://www.sharp.org.uk/ . 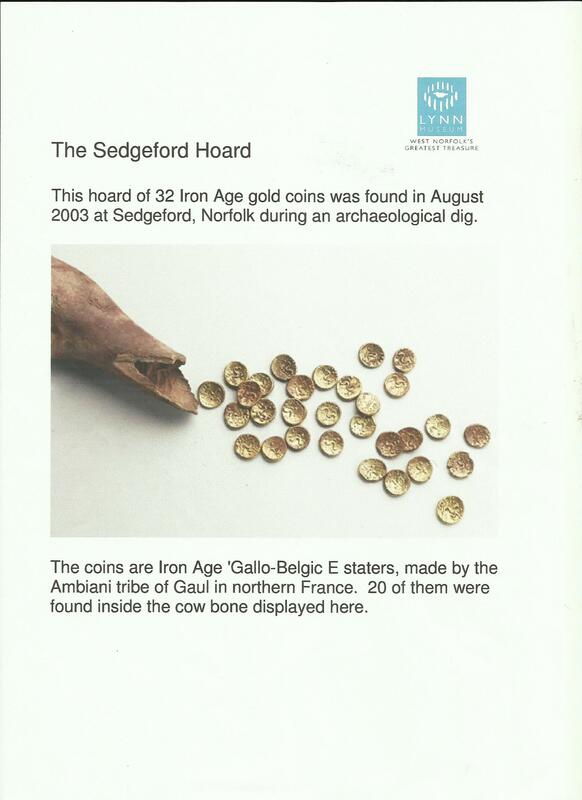 One of the amazing finds over the past years is the famous Sedgeford Hoard. Its story can be found below. 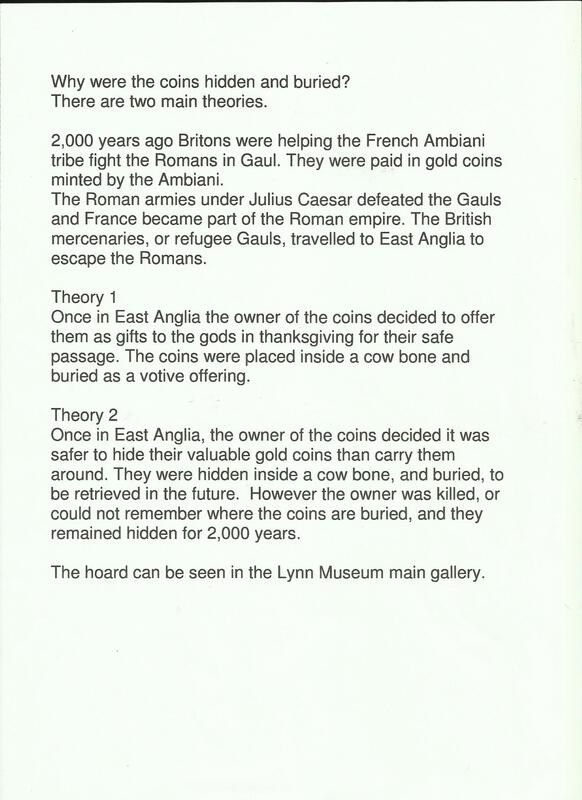 Last Autumn I had the pleasure of being shown around the Lynn museum and there it was ‘our Sedgeford hoard’ for all to see. If you have the time during your stay please do go and visit the Lynn museum. This truly delightful museum tells the story of West Norfolk. Step back in time as you walk into a life size replica of Seahenge. This astonishing Bronze Age timber circle is the museum’s stunning centrepiece’ but there are many more collections to see. The museum is open daily 10-5pm (closed on Mondays and Sundays). Entry is very reasonable and starts from £3.95 for an adult and £2.95 for a child. Family tickets and concession tickets are available. This entry was posted in What to do/Where to go on June 20, 2015 by Lili Skerritt.